Paris, France, 2019-Jan-30 — /Travel PR News/ — MGallery is thrilled to unveil today its new wellbeing strategy. Offered across the 26 countries where the boutique properties are located, it will embrace the brand’s conviction that wellbeing is a holistic experience aiming at igniting each guest’s inner spark. Committed to considering the needs of its guests, the enchanting MGallery brand unveils the steps to igniting guests’ inner spark through a 360° experience beyond spa and series of sensorial rituals. Essential to fostering energy, beauty and balance, MGallery’s unique approach to wellbeing starts with addressing guests’ lifestyle, with the properties allowing individuals to discover a spectrum of wellbeing initiatives throughout their stay. Guests can for example take care of themselves through the array of bespoke beauty partners curated by the hotel, enjoy a signature treatment linked to the hotel’s story, attend a fitness class in an unexpected area of the hotel or even write a letter to themselves capturing their commitments from their stay. This wellbeing holistic experience will be implemented across the 26 countries where the boutique properties are located, among which Hotel Paris Bastille Boutet in France, INK Hotel Amsterdam in The Netherlands, Hotel des Arts Saigon in Vietnam and Hotel Muse Bangkok Langsuan in Thailand, to name a few. Some programs and markers will be similar to all hotels (Inspired by Her offer, charity endorsement, signature treatment…), while others will be optional (personal commitments, tea experience, in-room fitness…). 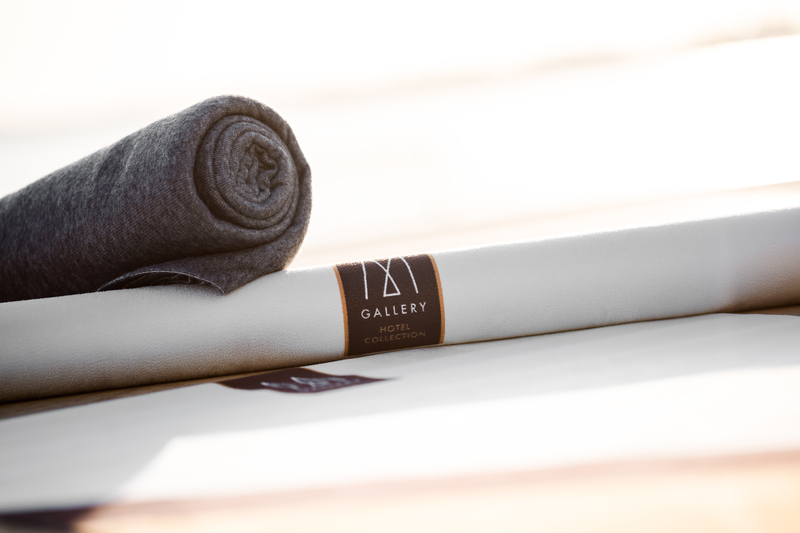 The new MGallery wellbeing strategy is in line with the Inspired by Her offering, launched in 2013. Through it, MGallery anticipates and responds to the demands of their female clientele with exclusive services and special considerations throughout their stay. Showers with massage jets, powerful hairdryers, properly sized dressing gowns and a large selection of herbal teas, as well as a multitude of little touches, complete this unique offering. Going further and addressing the needs of female and male alike, the new wellbeing approach has the same philosophy of bespoke welcome and fostering self-empowerment through wellbeing. Enthusiastic to embark guests on a transformative journey, MGallery hosted the first “Ignite your inner spark” festival at The Retreat Palm Dubai over three days from January 21st to 24th. “More than just an event, MGallery along with an army of seven specialists aimed at shaping the way travelers experience hotels and achieve wellbeing. At MGallery, guests can find what works best for them and enjoy a bespoke experience to support a balanced lifestyle. The increasing awareness of self-care provides us with the perfect opportunity to inspire our guests towards wellbeing on their travels.”, comments Lindsay Madden-Nadeau Global Director of Wellbeing for Raffles, Fairmont and MGallery. This wellbeing holistic experience, piloted in Dubai, featured specialists handpicked by MGallery including published author, naturopath and nutritionist Kate Reardon, who conducted several workshops over the event including healing with food and the moonlight meditation, as well as the breakfast booster session. The program of this event also included Yin Yoga session, talks on self-care, vegan-cooking lessons, intuitive dancing, feng shui workshops and much more! This entry was posted in Business, Hotels, Luxury, Travel, Travel Marketing, Travel Services, Travelers and tagged AccorHotels, MGallery, wellbeing strategy. Bookmark the permalink.